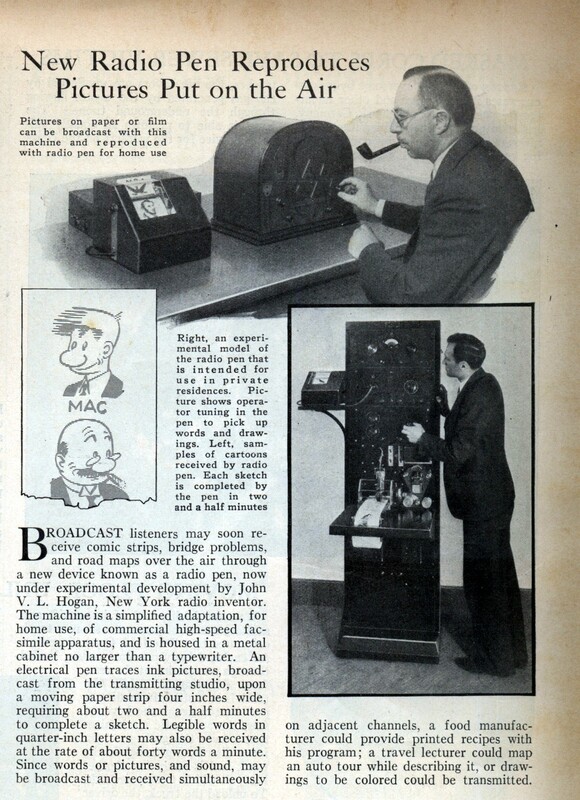 BROADCAST listeners may soon receive comic strips, bridge problems, and road maps over the air through a new device known as a radio pen, now under experimental development by John V. L. Hogan, New York radio inventor. The machine is a simplified adaptation, for home use, of commercial high-speed facsimile apparatus, and is housed in a metal cabinet no larger than a typewriter. An electrical pen traces ink pictures, broadcast from the transmitting studio, upon a moving paper strip four inches wide, requiring about two and a half minutes to complete a sketch. Legible words in quarter-inch letters may also be received at the rate of about forty words a minute. 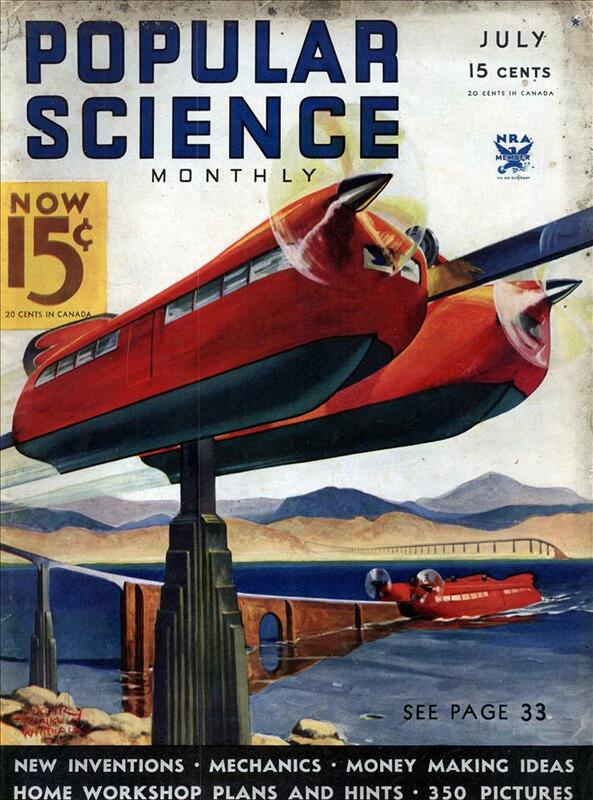 Since words or pictures, and sound, may be broadcast and received simultaneously on adjacent channels, a food manufacturer could provide printed recipes with his program; a travel lecturer could map an auto tour while describing it, or drawings to be colored could be transmitted. Excellent! And something like this would have a modern use as well: broadcasting emergency alerts in conjunction with a SAME radio or something similar. In the event of e.g. a tornado warning, SAME radios go off with a loud beep to wake you up or get your attention, and then broadcast the emergency alert. However, you have to listen to the entire announcement or see a short message on a screen. With an attached printer, similar to the one used in the grocery store to print your receipts, the system could print out the information in the time it takes for you to turn on a light or get a flashlight, so you don’t have to sit there and listen for the news you need. You could have time to wake up your family, and then go back and pull off the paper tape and read the message. This would obviously be useful for blind folks as well.